Alternative meeting point, Cnoc na dTobar at 11am. Suitability: High Mountain walk – please have the following: warm clothes, good comfortable walking shoes, a packed lunch and water. All walkers participate at their own risk. After the pilgrimage,the bus will pick us up at Roads, Kells. 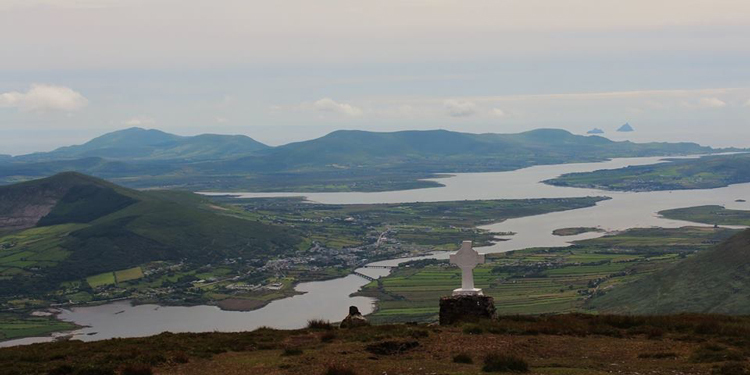 We will return to Cahersiveen Marina, where refreshments and a shower will be available. Further Information: +353 (0) 66 947 2777 Acard office, The Marina, Cahersiveen. Email: acardsiveen@gmail.com.